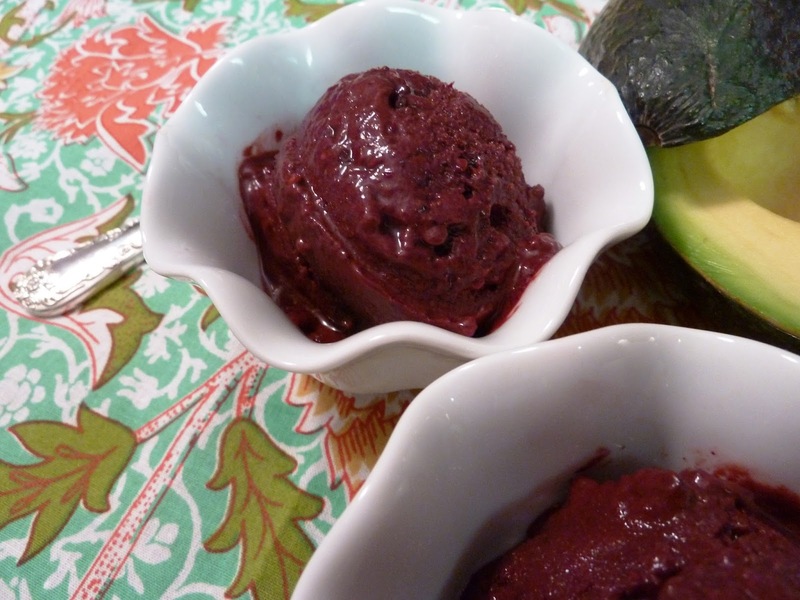 …or avocado that can be an indescribably rich and creamy base for vegan ice cream. Hence this Betcha Can’t challenge. A rich, creamy and decadent ice cream without, well…the cream! I first discovered this trick when I took a raw, vegan, paleo cooking class (cooking should offer some adventure, right?). While I can’t imaging whipping up feasts that require no cooking, no grains, and no protein that doesn’t come from nuts, (I mean seriously, a girl’s gotta live) I was amazed by the vegan ice cream we made. The best part….the finished treat is ready to serve immediately. No freezing required…so awesome! 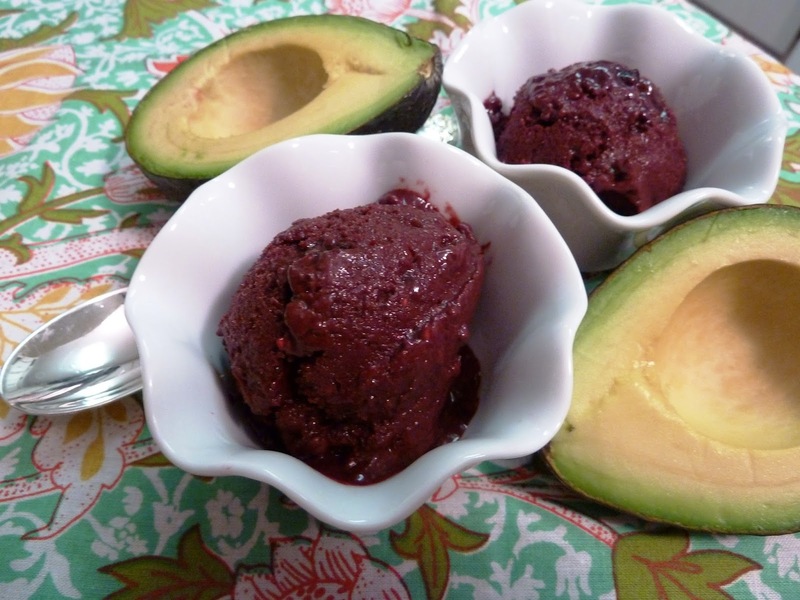 And while most of us get our dose of heart-healthy, high fiber avocado in the form of guacamole, this is a fun and surprising way to wow your guests (and contribute to their well being) in a way that won’t make them roll their eyes when you mention that it’s actually pretty healthy. 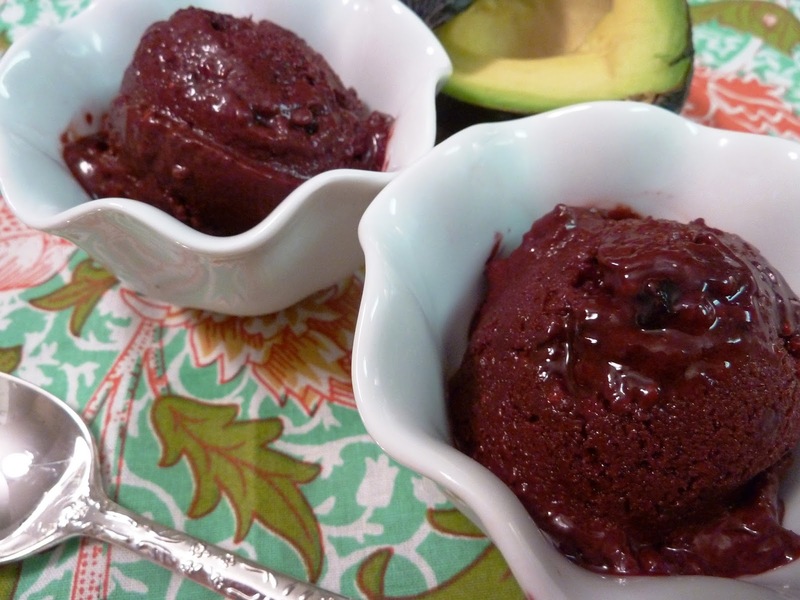 Heck, they probably won’t even hear you talk about all of the benefits of the avocado and antioxidant-rich berries over the sound of their spoons scraping the bottom of the bowl to get every last creamy taste.